I want to smell like pizza! 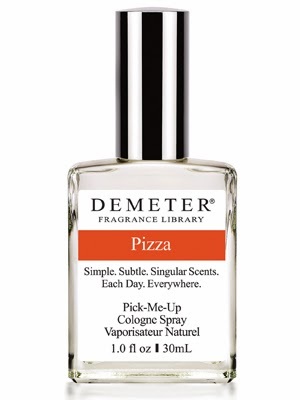 Nope, no, that is a blatant lie, I want to eat pizza and lots of it please but I am oddly compelled by the brand Demeter who offer some of the most bizarre scent compositions know to man most notably their Pizza scent which is due to touch down this coming January 2014. 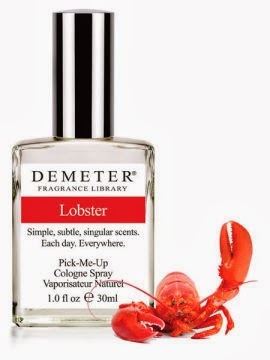 Last fashion week their was a one off toast fragrance (eau de toast) by the Bakers Federation but if typical scents offerings aren't your thing then Demeter may be the very thing you are looking for. All in Demeter has over 250 fragrances (insane) each of which have a single note meaning that the scent settles immediately on the skin and won't change as the day progresses. The idea is that they smell true to the specific thing they have been created to be and can be layered to create your own custom blend which is always appealing.very specific thing, and because they're so concentrated, they're excellent for layering, allowing you to play perfumer at home. Obviously with scent line up of over 250 fragrances I will leave the exploring in great detail to you but some of the oddest and yet intriguing offerings in my opinion include: Gin and Tonic (wouldn't this smell like you have got drunk and spilt your drink down you? ), Dirt (why? ), Celery (again why?) and my personal favourite for obscure reasons has to be Funeral Home. I mean really? Nothing quite like the scent of death to perk up your day...not. And yet I would more than likely test all of the above mentions given the chance, curiosity did kill the cat and why should my sense of smell be any different? Oh no now I want to smell them all! I'd secretly love to smell like pizza haha, and I'd definitely like to smell like Irish Cream if by that they mean Bailey's - yum! So curious about these - the weirder ones sound like they would make quite amusing presents! Definitely something I'd love to smell, but not sure I'd like to smell like! Cool concept though. Pizza fragrance sounds like heaven to me! 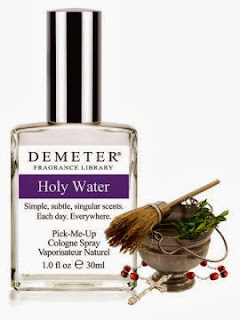 Ahahaha, I had a good ol' chuckle over the holy water one. Doesn't that just smell of normal water? 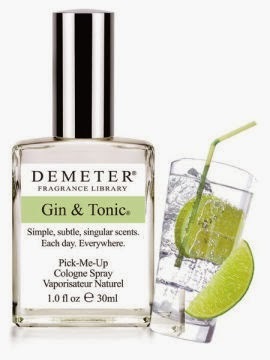 Maybe if I got the gin & tonic one and people found out I was wrong about something, I can say, "I'm drunk... *sway*". This is such an interesting idea and for £3.75 i'm sure everyone will be picking up a bottle of two just to see what they smell like. I am a massive fan of pizza but i think smelling of it is taking it a bit to far.